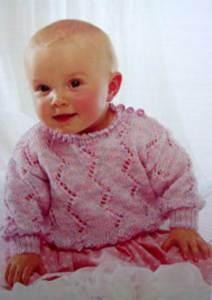 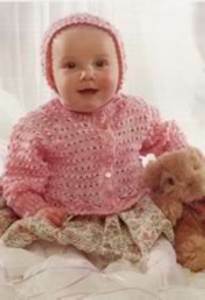 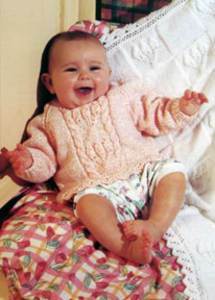 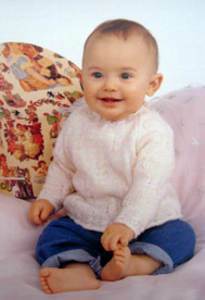 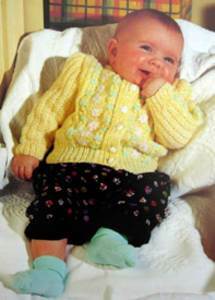 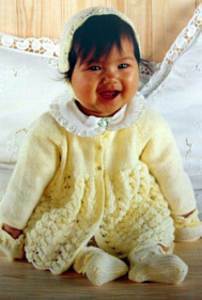 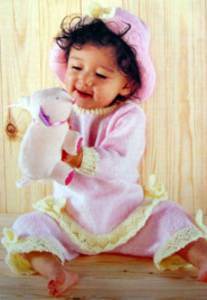 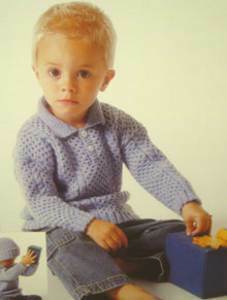 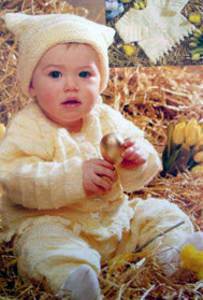 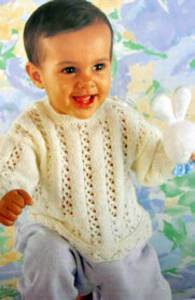 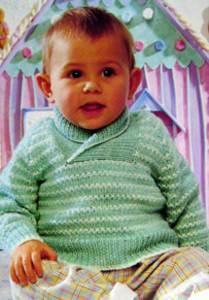 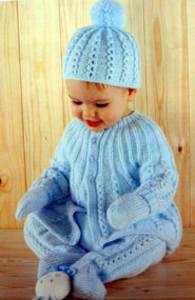 Baby and toddler DK knitting patterns inc classic designs for sweaters, jackets, baby outfits, cardigans, matinee coats and a range of accessories. 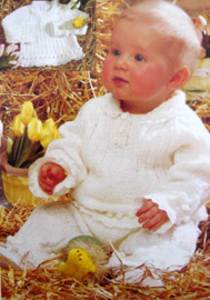 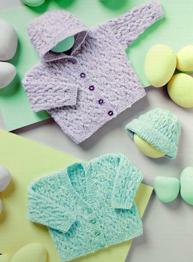 Brands include Patons, Stylecraft, Sirdar, King Cole, James Brett, Wendy and Peter Pan. 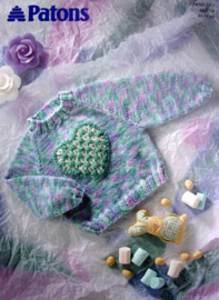 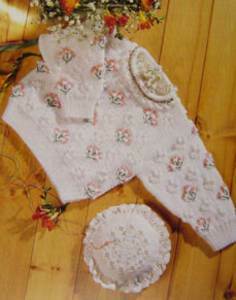 Cable sweater and jacket with optional embroidered flowers in DK yarn, to fit sizes 41-61cm (16-26 ins). 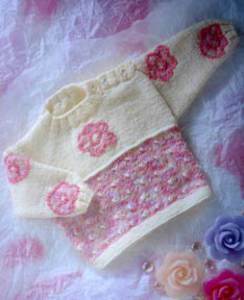 Tension: 22sts/30 rows to 10cm over moss st, 4mm needles. 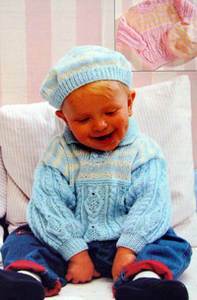 Sweater has allover cable design with cable rope panels, plus matching ribbed hat. 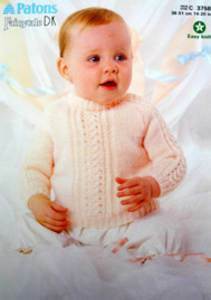 To fit 41-56cm (16-22in), knitted in DK. 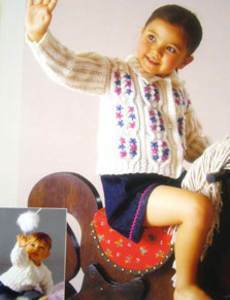 Aran sweater with striped yoke and beret. 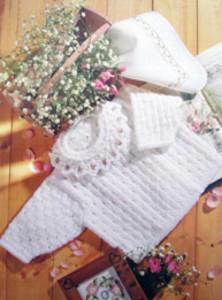 To fit sizes 41-66cm (16-26 in). 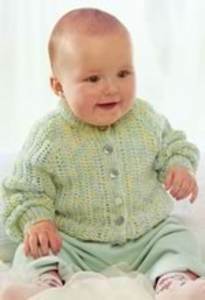 Knitted in 4 ply or DK.